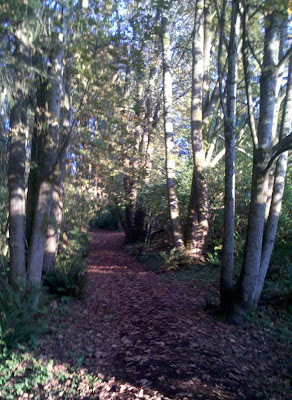 After a very busy week, including travel to Corvallis and Portland, and slogging through the annual torment of tax filing, how pleasant it is to enjoy an uncharacteristically sunny and warm mid-October day with a walk in the woods. The leaves crunched underfoot. The streambed was dry. Had a few of what are likely the last of this year's wild blackberries. Heard, then saw a squirrel working a pinecone. The late afternoon sun cast a gorgeously golden hue which this lame Droid picture doesn't capture, alas. 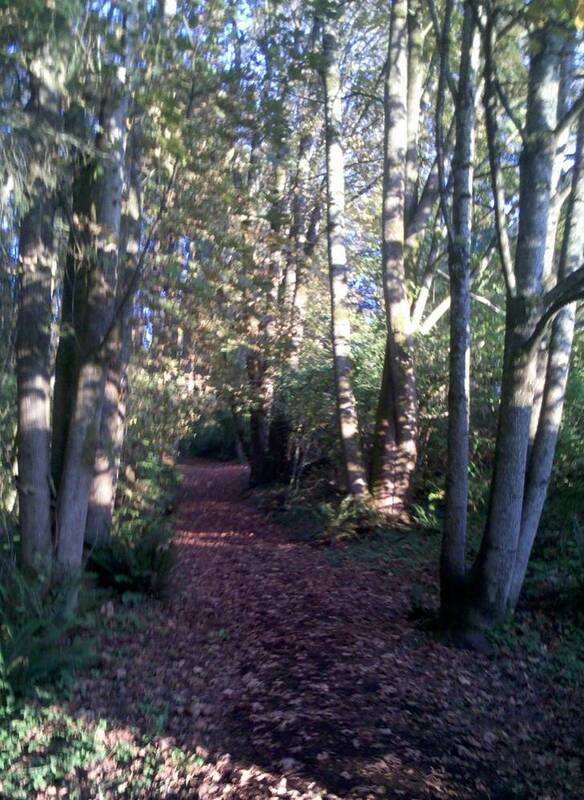 The dog and I both enjoy having this great network of trails just a half block down the street from our house. He chased a few rabbits. I mused on some of life's imponderables. Neither of us accomplished anything, but each enjoyed not doing so.